Do you ever wish your life were different? Do you ever feel the need to have more time, to change your job, to move somewhere else? If you could change something in your way of life, in your behavior, in yourself, in your relationships, would you go ahead and do it? Perhaps you think it’s too hard, complicated, impossible… I’ll never make it, you tell yourself, I don’t have enough money, time, ability, ideas… If all of this rings a bell, this book is the help you need. 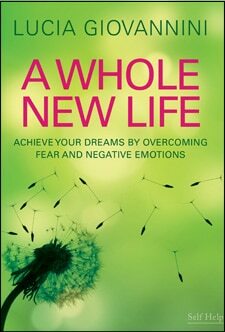 If you’re looking for a practical solution, if you wish to follow your heart but don’t know where to start, this book will speak to your mind and your feelings, it will show you the way to foster your wishes, it will provide the tools you need to finally choose the life you really wanted.